As a Pearson intern, you’ll get real-world experience that you won’t find in the classroom from one of the world’s greatest publishers. Internships are compensated at a competitive rate and last 8-10 weeks during the summer. Whether you decide to pursue an internship in editorial, marketing, production, or sales, you’ll gain an insider’s view of the publishing process. A key component of our internship program is honing your business skills; you’ll become deeply engaged in your projects by applying what you’ve learned in college. Opportunities in Upper Saddle River, NJ; Boston, Ma; Madison Avenue, NYC; San Francisco, CA; Columbus, OH; and Indianapolis, IN. After going through our internship program, you’ll be given higher level of consideration for future internships and full-time employment once you graduate. To apply, visit http://jobs.pearson.com/ and type ‘internships’ into the field for keyword search. Deadlines vary by location. 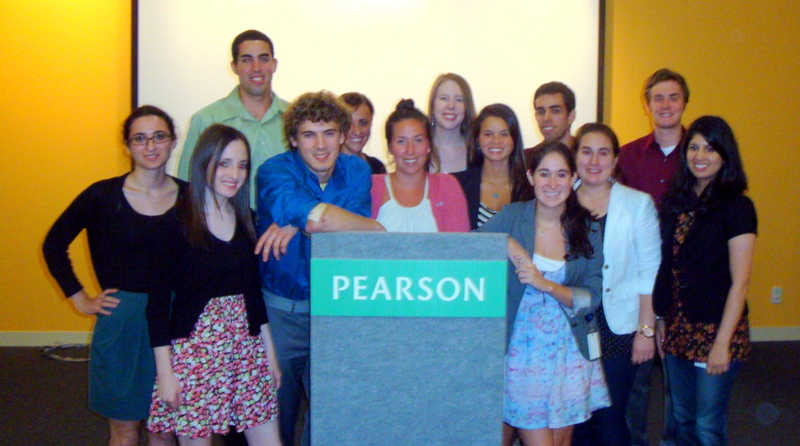 To learn more, visit: http://www.pearsonstudents.com/internships.shtml.